Nowadays, retrieving information about a person or a product is within anyone’s grasp. With an internet connection and a Smartphone, you can acquire detailed information regarding anything, except the actual location of area 51. Social media has allowed people to set up profiles and share as much information as they see fit. Businesses are taking advantage of this connectivity and using these platforms to advertise themselves and their services. While it may be a good idea to market yourself and your brands on social media, you must be strategic about how you go about it. The existing platforms each provide different features that could help or hurt your brand. Finding the best fit for yourself or your business should save you from misallocating time and resources. Instead, concentrate on the ideal platform that will promote your growth. Here are a few things you should think about before selecting your platform. Who are you trying to reach? You might think engaging everyone on all types of social media is right for you, but it may be a waste. Each product or brand appeals to a specific audience. Because you understand the dynamics of your business, you should be able to say with certainty who the service is for. Once you accomplish this, it will be easier to narrow down on the type of platform that suits you. People interact differently and seek out different things on separate social media apps and sites. Understanding this will help you estimate which sites your target audience frequents and on what networks your competitors have successfully engaged their audience. Even if you offer services that occupy niche markets, try to see where other similar unorthodox businesses succeed. What exactly do you want the platform to do for you? As I already mentioned, different platforms each offer a particular set of features that should help grow your brand. Selecting the right network will majorly be influenced by what you need them to do for your brand and if they have the appropriate features to do so. The subsequent selection process will be more straightforward because you have already narrowed down to the platforms where most of your audience engages. These options should not only be varied but also suitable for your brand. A good advertisement has the power to revolutionize your business. Platforms that allow you to do your own advertising or pay other users to reach a greater audience are an excellent place to start. The platform should not restrict you to limited advertising options. Instagram, for example, allows the user to buy Instagram video views. Highly viewed videos frequent many people’s timelines and attract even more people to watch your advertisements. Tracking data is vital to see your strong points and your weaknesses as well. Being able to see how your brand is progressing on a network helps assist you to evolve how you engage your audience. Ignoring the analytical aspect of a media platform might blind you to your flaws. You need to be aware of how people are reacting to your product or services. Analyzing this data will help you tailor your brand to be more appealing to your audience. They provide regulations about the How’s and what of appropriate content. Other sites only allow a certain type of content, e.g. strictly pictures or strictly videos on the platform. You should be able to pick off the sites that will either restrict your content or label it inappropriate or do not provide for a variety to share your content. Research suggests audiovisual content influences greater audiences than the other. Choosing such a network could help you reach your target audience effectively. Google's YouTube is the largest video hosting platform. It allows you to share your content in the form of videos across many audiences. The footage contained on this site is worth billions of hours. Once you share your content, it is made available to your subscribers and to anyone who searches for it. Alternatively, you could pay to have your brand advertisement linked to videos frequently watched by your target audience. Twitter is for the technologically shrewd. It might be weird to operate at first but once you get the hang of it, using it gets easier. Many users of Twitter are increasingly looking for customer service on this site. You should monitor the content you plan to share on twitter and respond quickly to any activities involving your brand. It is a good way to introduce a service or product to a large audience. You must ensure to upload new information or content regarding your brand regularly. Facebook-owned Instagram has one of the largest picture galleries as compared to other sites. It is primarily for sharing videos and pictures that you can caption. It allows you to reach a number of people and view a variety of things. It is a good platform for launching new ideas and impressing your audience with visuals. Videos with many views are often recommended to be watched by other users. In conclusion, selecting the right social media marketing platform influences how well your audience is made aware of your brand. The truth is, scattering your attention across various sites exhausts your resources. By selecting the right media platform for your business or brand, you are able to optimize this awareness. Remember, it’s all about how effectively you are able to reach your target audience, without strain. 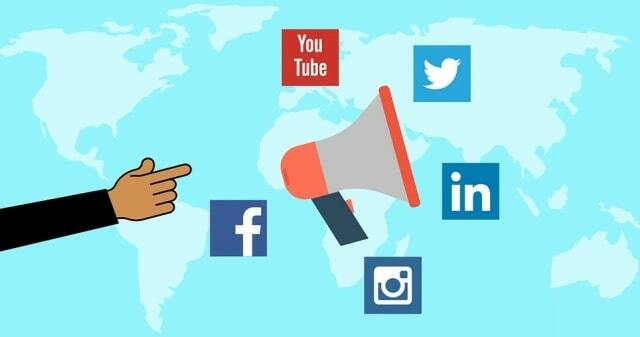 I hope you enjoyed this blog post about how to choose the right social media marketing platform for your business brand. Interested in more articles about social selling and SMM?